they're strawberry & banana...how good does that sound! ok...hit me with it...how was your week? this, my lovely friends, is why the english countryside is so flippin' green! it had just the right amount of wear & tear that i love...lots! i've even actually used it as a ladder! 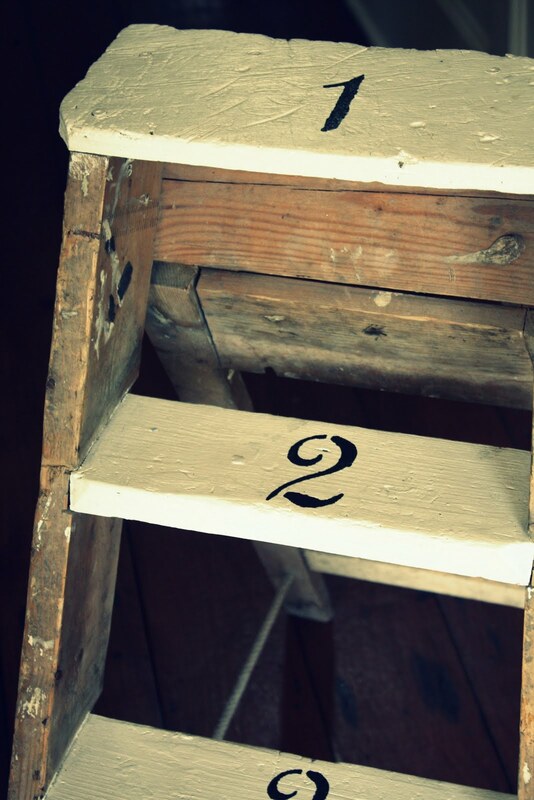 till i found these gorgeous french number stencil shapes...! head over & check out the mountains of inspiration!! 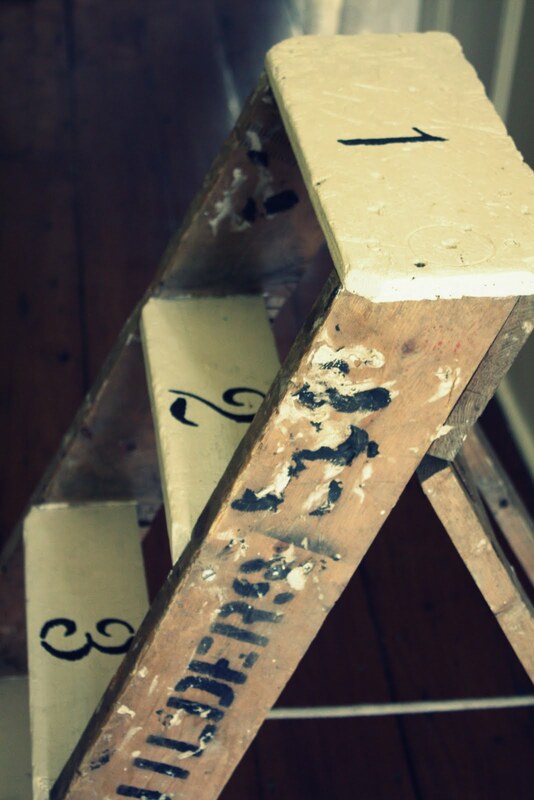 i love that chippy old ladder of yours and i just sitting here imagining what i could do with those french stencils of yours....so many ideas! i would take a smoothie, yum. i love making strawberry, banana and blueberry smoothies and even my picky little kids love them. melissa- i can't wait to hear about your holiday travel plans as i must live vicariously through you and all of your travels and adventures! have a wonderful day friend, and thanks for the smoothie! You are too fun. Who knew a ladder and a smoothie would be such a great combo. Not on hols yet...but counting down the days! The ladder looks ab fab. It's snowing in Orange and 40cm of snow is predicted in Thredbo so a bit of English Summer rain sounds OK to me. It's freezing here on the Northern Beaches this morning but I bet that ladder would look great in any beachy garden. love what you did with the ladder melissa and a smoothie would be lovely! love love love your ladder. i love #'s too :) great having a smoothie with you today! I am in love with your ladder! Then the smoothies sealed the deal! I'd better not come over for coffee or, in this case smoothies, upon your ladder.... because.... I might never leave ;D I adore your lovely little ladder and the French numbers are the perfect finishing touch. Thanks for smoothies!! It's beautiful - would you believe my husband threw out a similar old ladder - that was given to me by his mother when we were first married and tried to hang wallpaper, but found we had no step stool. Oh what I wouldn't do to have that old ladder back now. Love this idea. 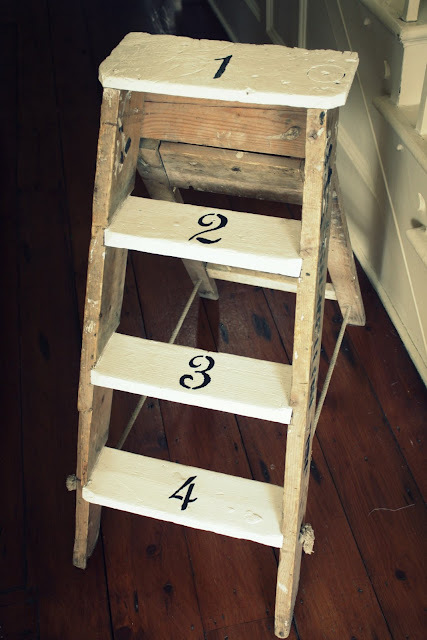 Those French stencils are so pretty - and the perfect addition to the ladder! And with glass of wine in hand sounds like a perfectly inspired way to do some touching up. Thanks for the yummy smoothie and chat! I am a newer follow and I also wanted to say that I have loved following you on pinterest too! You "pin" some great inspiration photos! 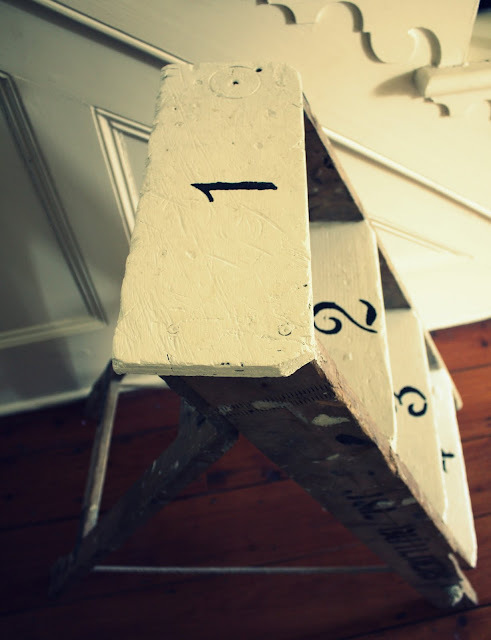 I have my dad's old ladder like this, and I've never wanted to paint it because I love all the paint spills left on it from him, but this is such a fun way to change it up. I love it!! Hi! I came over from Primp and think I'll follow because your site looks so beautiful! I am totally loving this ladder! Hi Melissa! Just discovered your site and love it and this post! Awesome work, looking forward to seeing more of your posts! Hi Michele! Love your blog! This piece looks fantastic! I just discovered your blog today and linked up a piece I redid myself (a desk!) thanks so much! Sorry not sure what happened there with my last post- looks like it posted 2 comments together! Hello Melissa - Found you a few moments ago when I was supposed to be working and wound up visiting around instead - oh, my! Love your blog and your engaging writing style. I have several old ladders (cannot believe people leave them for the trash man!) and believe I will have to repurpose one of them like yours - thanks for the nifty idea ... I NEED at least one great idea a day, like my vitamin! I'll be back - hope you can visit, too. The ladder is beautiful! I am going to be on the look out for one! 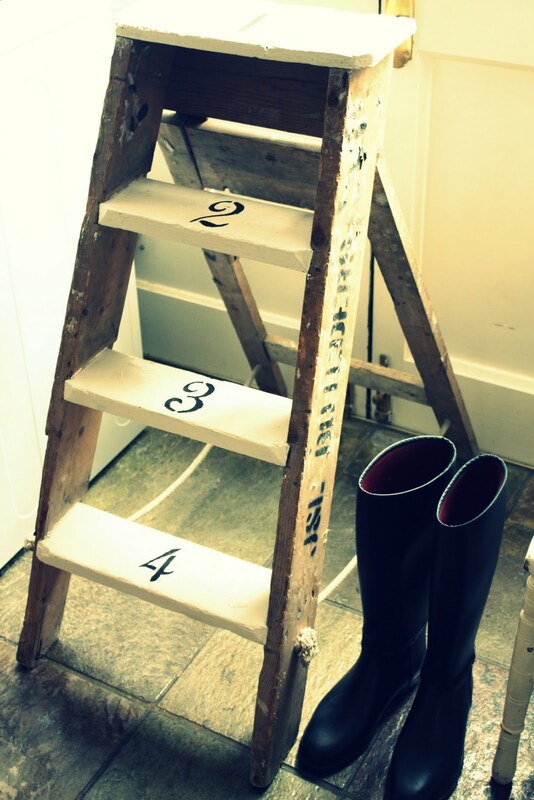 I found an old wooden ladder at an estate barn sale yesterday.......hmmmm this idea is just too cute!